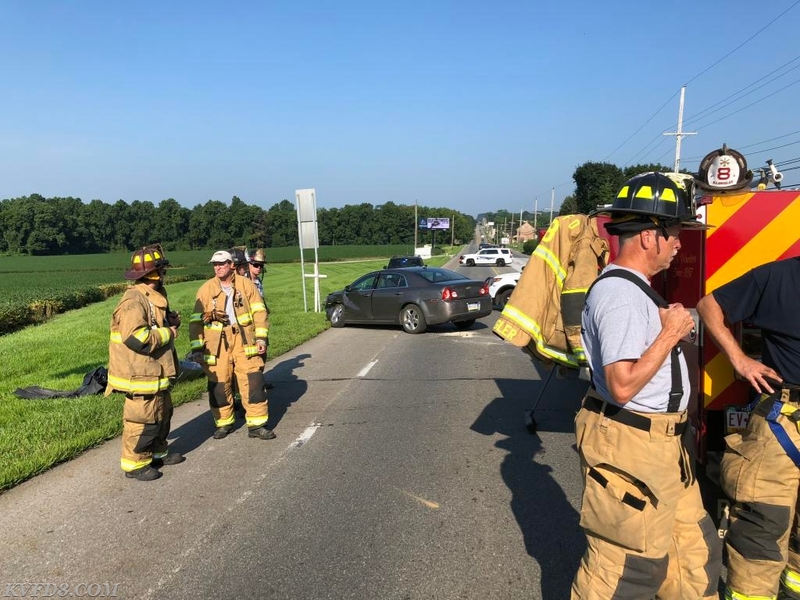 Today at 8:32 AM, KVFD was dispatched to an accident involving two vehicles on Rt. #30 at Moscow Road in West Sadsbury Township. One person was reported with chest pain so the call was upgraded to an ALS dispatch with a second ambulance coming from the Christiana Community ambulance. Two persons were transported to the hospital. Fire police assisted with traffic control while firefighters assisted EMS and contained hazards. The West Sadsbury Township police are investigating.